So .. remember how I quit raiding? I did mention that, right? Part burnout, part desire to do other things on raid nights. Bowling league every other week on a raid night, polka club once a month on another raid night, and my favourite TV show during the last hour of the other raid night each week. Yeah, it means I still have things scheduled, it’s just a lot less time consuming than a 3 hour block, 3 nights a week, every week. But, this doesn’t mean that I’m against coming in to help out when I’m available and they need me. I might have mentioned being pulled in to kill Mythic Siegecrafter a week or so ago. 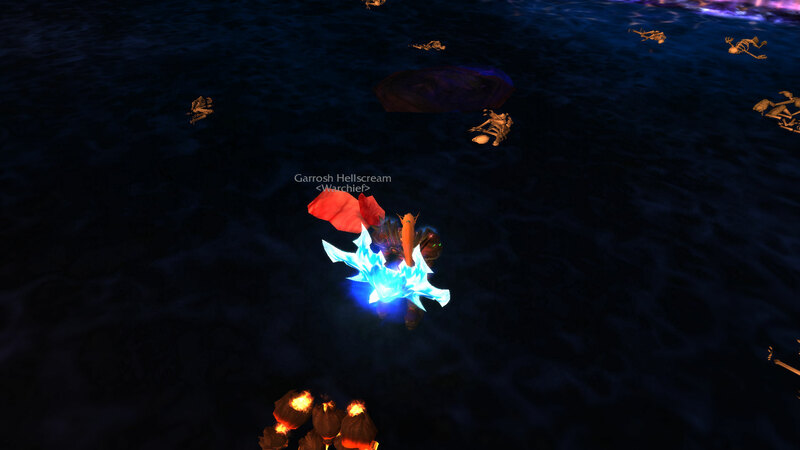 Well, last night they needed bodies for Mythic Garrosh. I almost went along Monday night but someone else logged on late who hasn’t quit, so I bowed out. But last night they needed me. We *almost* got him in one pull. It didn’t take all night though. Heck, we got him in time for my TV show so I didn’t have to watch it later On Demand. I never saw an achievement show up, just the heirloom and the bonus roll. It shows up in my achievement pane, but never flashed up on the screen. At first I was disappointed about getting an heirloom that I already have. But when I thought about it, I realized that nearly half of my max level characters (7/15) are strength-based plate wearers, so actually, that axe is the MOST useful thing I could have gotten. Yeah, someone chopped him up into a pile of meat. Thankfully, we did extend the raid and did not let Thok escape. We had one really frustrating wipe at less than 1% … we’re talking like 5M health left on the bad boy. But we got back up and kept trying until finally we had enough people alive long enough to get out of that fire phase and have enough dps left to get him down. We’re skipping Blackfuse for now and moving on to Paragons so … off to study! Chalk up one more heroic victory. Malkorok is down. Now, before you go saying ‘well yeah but patch = nerf’ let me tell you that the guild downed him on Monday while I listened on vent. I was in as the third healer while we learned the heroic mechanics, but when it came time to two heal so as to beat the enrage, I sat out in favour of our other ranged dps. We have exactly 11 people on the roster at the moment, so we rotate in and out depending on specific needs. But they wasted no time getting me in for my kill. 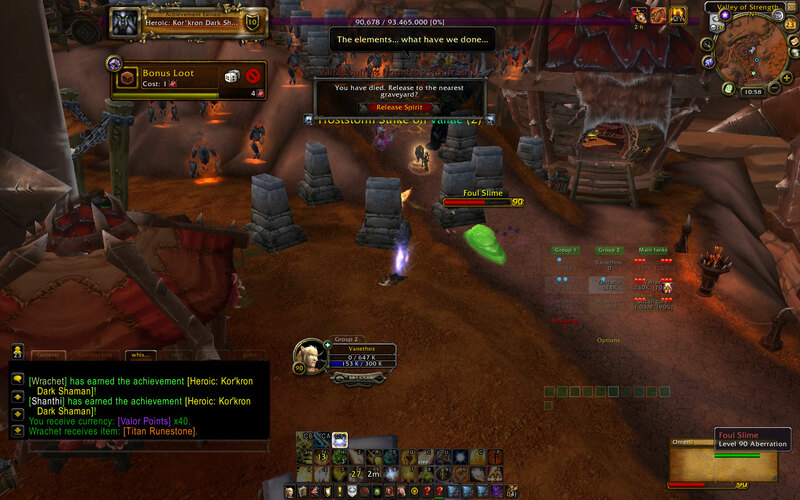 This is one of those fights where I’m more than happy to be ret instead of holy. heh. Half the raid doesn’t need gear off him and wants to sit it out though, so I’m sure they’re going to make me heal it sooner or later. So, this week we did something a little different. 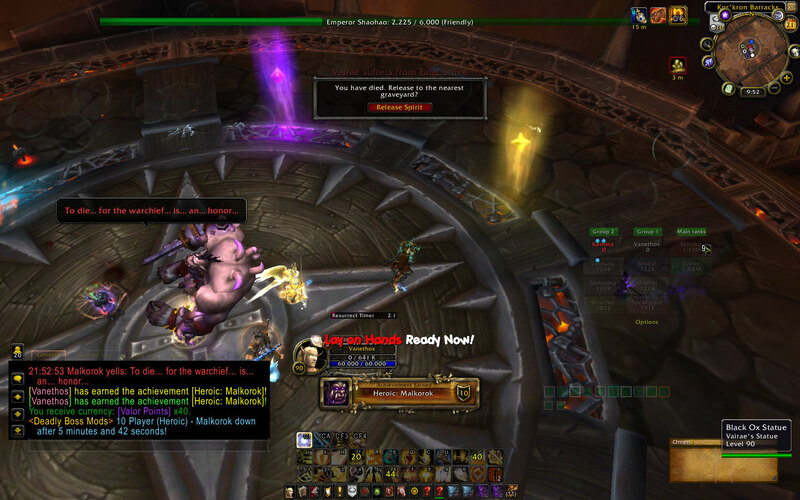 We swapped two of our raiders with two raiders from the guild that we are joining forces with to do Mythic in WoD. 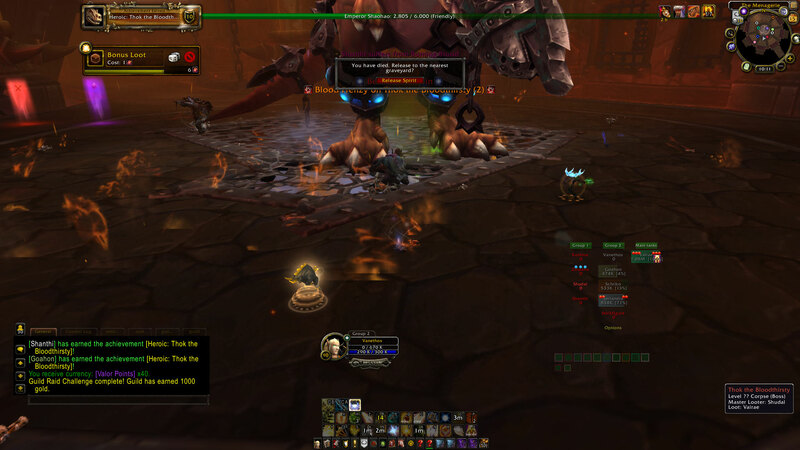 We swapped resto druids, and sent them an ele shaman for a fire mage. It was interesting, and nice to get to know two of them a little better. They seem to have the same attitudes and approach to raiding that we do. Their druid uses different talents than Kash does, so it was strange to see four green circles at once because of the treants instead of seeing pedotree, er, tree of life. Not bad, mind you, just different. 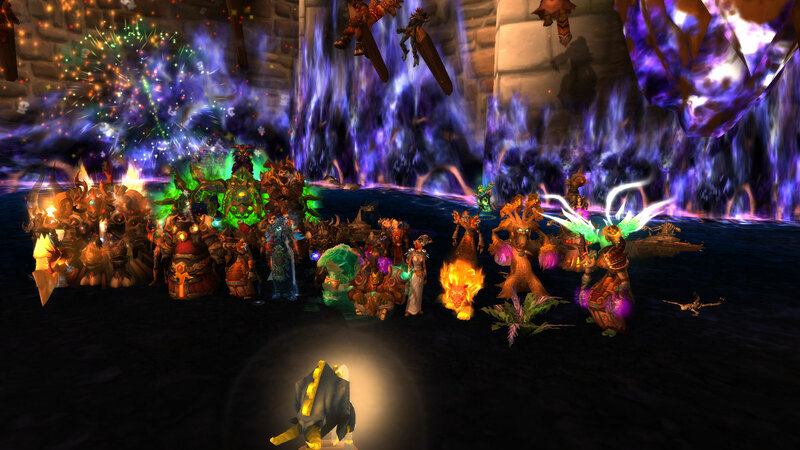 Anyway … we spent last night on Heroic Dark Shaman. I like this fight. Mostly because I am on the Haromm Hill team and I only have to move like, once every 30 seconds when an Iron Tomb goes out. None of this running around avoiding 5 different things that can kill me and keep me from casting like on stupid Iron Juggernaut. It didn’t take long to become a pro tomb stacker. It took only a dozen pulls to get it all put together and not have anyone die too early. Alright, I guess I’d better study Heroic Malk before Monday. I have a feeling I am going to hate him even more than I already do.